Russian anti-corruption official Dmitry Zakharchenko is charged with official misconduct, obstructing justice and large-scale bribery. Russia’s investigators have sent a request to the U.S. Federal Reserve System to help them uncover the origin of an unprecedented cash haul seized from senior Russian anti-corruption official Dmitry Zakharchenko, Kommersant business daily wrote on Sept. 16. A source close to the investigation told the paper that Zakharchenko, an experienced specialist in cracking financial crimes, made the mistake of storing the so-called bricks - packs with dollars issued by the banks of the U.S. Federal Reserve System. "The packs, each of which contain $200,000, had not been opened since being unloaded from international flights. That’s why the paper strips on the banknotes contained stamps of some of the 12 regional banks of the Federal Reserve System. For example, the Federal Reserve Bank of San Francisco," according to the report. The investigators have asked the U.S. central banking system to reveal what Russian bank had ordered the currency. "Finding out what Russian bank had ordered the dollars in cash will shed light on the financial dealings of the holder (Zakharchenko)," the paper said. The request, which was sent the following day after Zakharchenko’s arrest, says the criminal case could help the detectives uncover a large-scale organized criminal network allegedly involved in money laundering and siphoning off huge sums abroad. The next step will be the seizure of documents from the bank that had ordered the foreign currency and pinpointing the clients who bought $120 million seized from Zakharchenko. Zakharchenko, 38, the deputy head of the Interior Ministry's ‘T’ Department for Economic Security and Combating Corruption, is charged with official misconduct, obstructing justice and large-scale bribery. He was arrested on Sept. 10. Investigators found some 8.5 billion rubles ($131 million) in a Moscow apartment belonging to his sister. A law enforcement source earlier told TASS that Zakharchenko’s arrest is connected with an embezzlement case involving 26 billion rubles ($400 million) from Nota-Bank, a financial institution that was stripped of license in late November 2015. The source told TASS that Zakharchenko, who knew the bank’s financial director, Galina Marchukova, had alerted her to a planned search and seizure. Consequently, he also took some of the bank’s funds for alleged temporary storage. The billions of rubles seized from Zakharchenko were part of the funds stolen from the bank, the source claimed. Zakharchenko’s defense lawyers said he did not have any link to the Nota-Bank case. 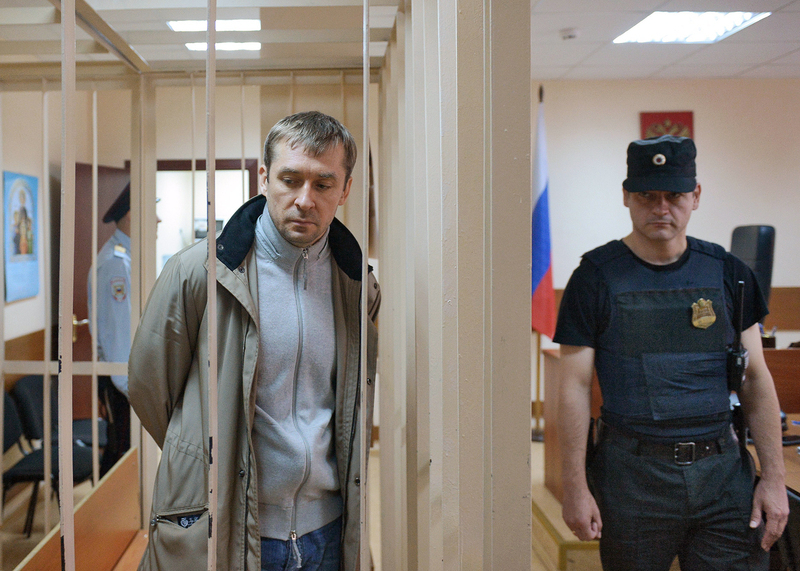 Attorney Yuri Novikov confirmed that Zakharchenko knew the bank’s financial director "but had not warned her about the imminent searches and did not investigate the case."